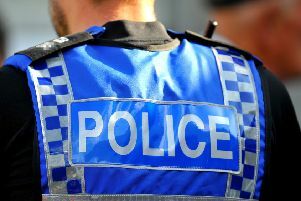 A motorcyclist was left with serious injuries after coming off his moped in Northamptonshire yesterday, though police are appealing for help in finding exactly where the accident happened. The 23-year-old rider of a blue Yamaha moped was involved in an accident on the afternoon of Sunday, January 3, but managed to leave the scene with his vehicle. Police say that it was not until the man returned to a friend’s home that the full extent of his injuries was realised. Police say the man, who is now receiving treatment in hospital, has since been unable to inform officers where the accident took place. Police investigating the case would like to speak to anyone who saw a blue Yamaha moped involved in an incident yesterday to contact them. Witnesses, or anyone with any information, can call Northamptonshire Police on 101.